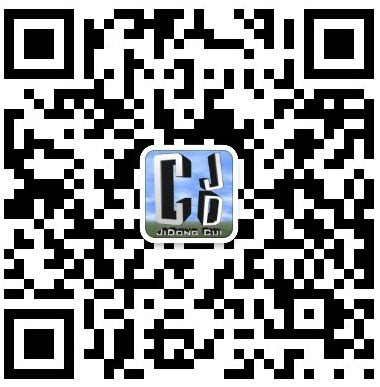 在传统的结构分析中，填充墙通常作为非结构构件考虑，在分析过程中，将其以外荷载的形式施加到结构上，并对整体结构的周期进行折减以考虑填充墙对结构刚度的贡献，未直接考虑填充墙对结构非线性行为的影响。相关研究表明[1,2]，填充墙对结构的抗震性能有着重要的影响，在结构弹塑性分析中，应合理考虑填充墙的影响。本章首先对砌体填充墙的抗震性能及填充墙的数值模型进行介绍，并着重介绍了基于等效斜压杆的填充墙宏观模型的参数计算方法，最后采用PERFORM-3D[3,4]对一单跨框架填充墙结构的低周往复加载试验进行模拟，讲解PERORM-3D中采用等效斜压杆填充墙模型进行框架填充墙模拟的基本步骤与参数设置方法。In traditional structural analysis, infilled wall is usually considered as non-structural element, and its effect to structure performance was only considered by applying equivalent external load to the main structure and reducing the structure period, the contribution of infilled wall to the structural nonlinear behaviour was not considered directly. Relevant studies have shown that infilled wall has significant influence on both linear and nonlinear structural performance. Therefore, infilled wall should be reasonably considered in structural elasto-plastic analysis. In this chapter, the seismic performance and numerical model of masonry infilled wall was firstly introduced, and the parameters calculation method of the macroscopic infilled wall model based on equivalent diagonal strut theory was explained in detail. After that, a PERFORM-3D simulation of low-cyclic reversed load test of a single span infilled frame structure was conducted by step by step, to explain the fundamental modelling process and parameter definition method of the equivalent diagonal strut infilled wall model. 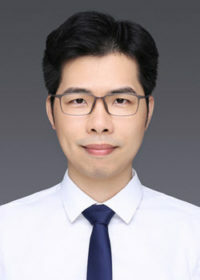 剪力墙的非线性分析模型可根据其基本假定的差异及单元自由度数量的多少划分为微观模型和宏观模型。微观模型用实体或者板壳单元直接模拟剪力墙，原理清晰，但计算量大，收敛难以保证，宏观模型将剪力墙用多组非线性弹簧进行模拟，计算量小，试验分析校正相对简单，适用于结构整体弹塑性分析。PERFORM-3D[2,3]中提供了两种剪力墙宏观模型，包括能考虑单向压弯非线性的Shear Wall Element（剪力墙单元）及在此基础上进一步考虑复杂应力状态而开发的General Shear Wall Element（通用剪力墙单元）。其中Shear Wall单元采用的是多竖向弹簧单元模型（MVLEM）理论，为此，本章首先对MVLEM的研究背景及原理进行介绍，在此基础上介绍PERFORM-3D中提供的剪力墙组件及单元，最后采用PERFORM-3D中的Shear Wall单元对一悬臂剪力墙试件的拟静力试验进行模拟，详细讲解Shear Wall单元的基本建模过程和参数定义方法，并对模拟结果进行讨论。According to the difference of basic assumption and the number of degree of freedoms, the nonlinear analysis model of shear wall can be divided into microscopic model and macroscopic model. In microscopic model, shear wall is simulated by solid elements or shell elements. Microscopic model is clear in principle, but always has high calculation cost and the convergence is also difficult to assure. In macroscopic model, shear wall is simulated by multi-nonlinear-springs. 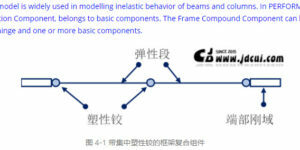 When compared with microscopic model, macroscopic model always has lower computational cost and simpler parameters calibration process, which is suitable for elasto-plastic analysis of the whole structure. 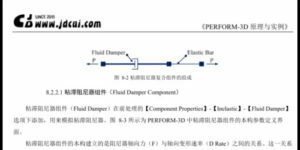 There are two types of shear wall macroscopic model in PERFORM-3D, including “Shear Wall Element” that can only consider one dimensional nonlinear bending and compression behaviour and “General Shear Wall Element” that can further consider complicated stress state. 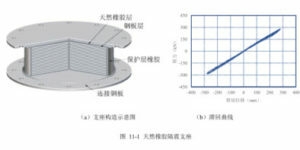 The Shear Wall Element adopts the theory of multi-vertical-line-element-model (MVLEM), therefore, the research background and the related theory of MVLEM was firstly introduced in this chapter. 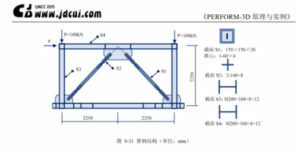 Then the shear wall components and elements in PERFORM-3D was further explained. After that, a pseudo-static test of cantilever shear wall was simulated by Shear Wall Element in PERFORM-3D. 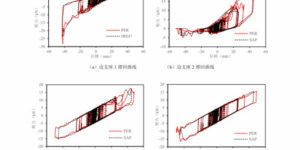 Through this simulation, fundamental modelling process, parameter definition, and interpretation of simulation results of Shear Wall Element were explained in detail.